To say his life has been turned upside down would be laughable at best. In a business where people’s livelihoods depend on the decisions he makes every day, Walt Nelson never wanted a life built around anyone but himself. With a fiancée equally versed in self-centeredness, he is living the life he created, until the call that changed everything. Forty-eight hours later, he buried his best friend and became the guardian to his two daughters. Forced to admit his life is no longer just about him, he hires his brother’s personal assistant in a moment of desperation. His goal, to survive this new normal until he can arrange a boarding school for the girls. The last ten years have kept Samantha Abbott in an endless cycle of regret and sorrow as she slowly rebuilt a life she never wanted- a life alone. When her boss’s brother offers her a job that solves her money troubles, her only goal is to put her past behind her. What she gets is a head-on collision between a loss she has yet to survive and a love she doesn’t think she deserves. KJ is a novelist, hot tamale-addict, and an abolisher of grammar. When not writing, you can find her reading at the beach, exploring New York City, or hanging out in her hometown of Memphis, TN. She started hitting Amazon’s top 100 lists with her first novel, Taylor Made, in 2016. She is currently working on the next installment in the Sunday Love Series. In a business where people’s livelihoods depend on the decisions he makes every day, Walt Nelson never wanted a life built around anyone but himself. With a fiancée equally versed in self-centeredness, he is living the life he created, until the call that changed everything. Forty-eight hours later, he buried his best friend and became the guardian of his two daughters. Subscribe HERE to get all things Tuesdays at Six! 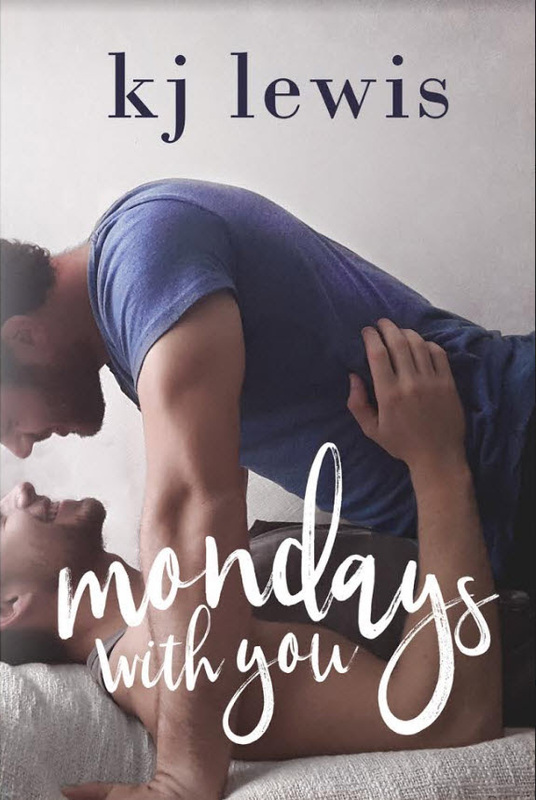 High-school teacher West Connors struggled to put the pieces of his heart back together after the sudden departure of his best friend, Blake Thomas, from his life ten years ago. While loves have come and gone, West has never quite filled the hole in his heart Blake left behind. Blake Thomas gets things done. As a handler for one of the top political fixers in the business, he focuses on work, friends, and one-night stands. He’s fooled himself into thinking he’s conquered the demons of his past until he runs into the best friend he was forced to leave behind when he was sixteen. When their jobs force them into a fake relationship, Blake learns something about his childhood best friend and eventually about himself. As they try to repair their damaged friendship, they find that moving forward can sometimes lead you back home. More information to come soon about Release Promotion and ARCs!